The Lumasonix Blood Cell Analyzer (LBCA) is a label-free automated analyzer that rapidly identifies, counts, sizes, and determines the morphology and internal structure of individual cells using light and ultrasound. The LBCA does not rely on the presence of any cancer specific biomarkers or requires labeling with expensive reagents to characterize the cells. The disruptive platform technology has wide applications in non-destructively identifying other blood-based diseases that affect the size, shape and structure of cells, such as malaria, anemia, various leukemias and lymphomas. The LBCA uses ultra-high frequency, 100-500 MHz, sound waves with wavelengths on the order of a cell’s diameter; in this regime, the sound waves are highly sensitive to the size, morphology, composition and structure of a single cell. The patented technology was developed at Ryerson University, Toronto. The breast cancer, colorectal cancer, melanoma and other cell types were studied and the findings have been published in peer reviewed research papers. The exams with LBCA are non-destructive, don’t require presence of cancer-specific biomarkers and work without fluorescent reagents. The lack of reliance on specific biomarkers is particularly important, as cancer cells mutate and may gain and/or lose expression of biomarkers over time. The cancer cells are very heterogeneous in their genetic and expressed biomarker profiles with numerous mutations occurring over time. Competing systems rely on detection of the epithelial growth marker, however, as the biomarkers expressed by cancer cells change expression over time, the mutated cells can be missed by a measurement that relies on binding to the specific biomarker. Competing systems rely on optical fluorescence (which is destructive) or size/density (which lack specificity). The fluorescent dyes require fixation before they can be scanned rendering these cells unfit for examination using other methods. Our technique addresses these issues using both label-free and labeled methods, with potentially high sensitivity and specificity. 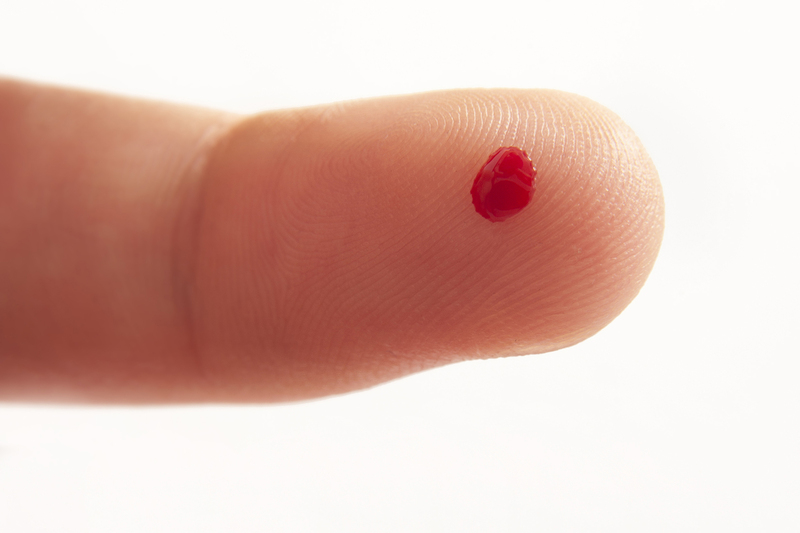 The “liquid biopsy”, where the cells and/or biochemical markers are assessed from the blood samples, is poised to become an important screening technique for oncologists. There are currently over 400 ongoing Phase I, II and III clinical trials that aim to establish the significance of using CTCs for the detection of cancer, and evaluating patient prognosis. The liquid biopsy can give crucial information about a distant tumor, enabling improved treatment options. Current treatments based on histological assessments of biopsies are difficult and leave some cancer cells behind which result in reoccurrence. The residual cancer cells, left circulating in the bloodstream, may have developed metastatic ability that requires a different treatment than the primary tumor. This minimally invasive procedure is an attractive method for monitoring treatment efficacy and disease progression. Find out all about breast cancer - a malignant tumor that develops from the breast cells. We take a look at the causes, diagnosis and available treatment options.